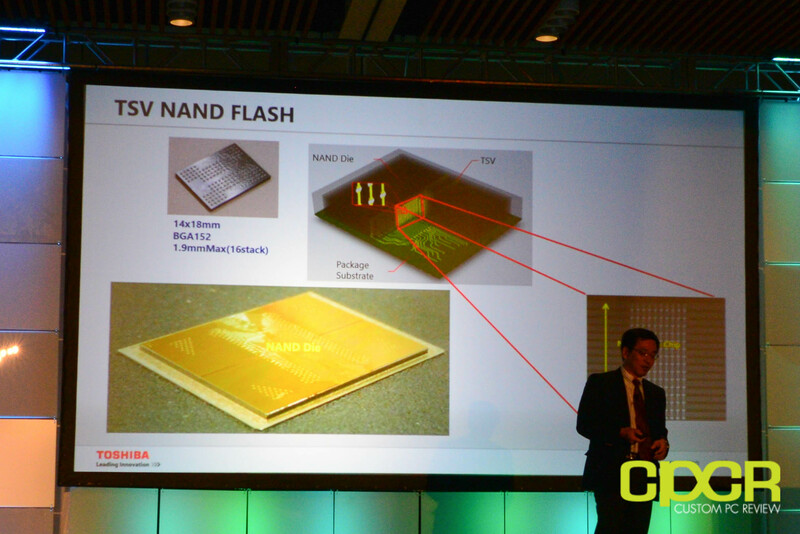 During their keynote at FMS, Toshiba also announced that they’ll be producing the world’s first 8-stack and 16-stack TSV (Through-Silicon-Via) NAND packages. 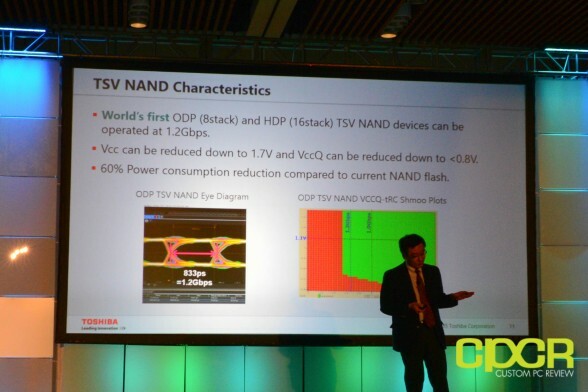 Thanks to TSV NAND stacking, Toshiba is able to attain performance up to 1.2Gbps throughput per package and reduce power consumption by up to 60% compared to current generation NAND flash packaging. Denser NAND stacking thanks to TSV will also allow even smaller form factors as more NAND dies are crammed into a single NAND package. 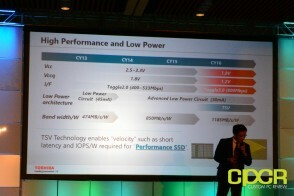 With next generation 256Gb NAND dies, a 16-stack NAND package would theoretically provide incredible capacities up to 512GB per package. 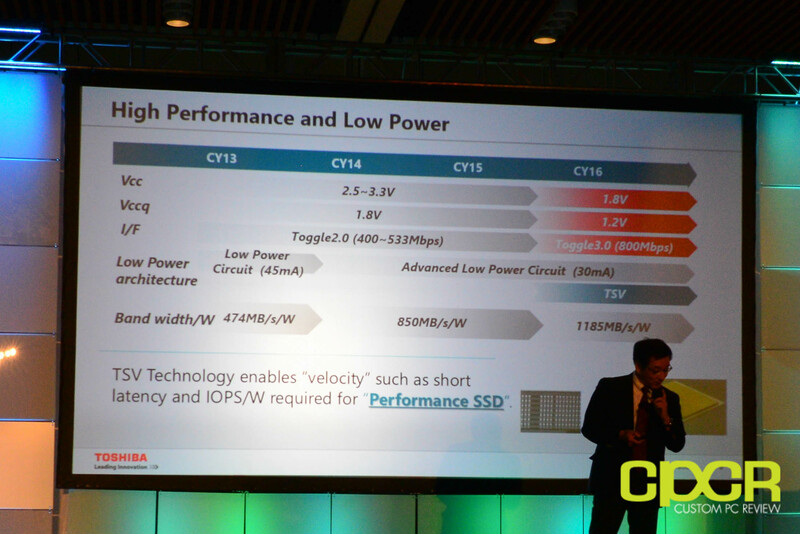 Toshiba has not given a specific timeframe for when 8-stack and 16-stack TSV NAND packages will begin shipping.